Almost all the large capacity drilling project need one set drilling fluids recycling system. While the drilling waste management system could also be classified as high configuration system and economic configuration model. The high configuration mud system is always be equipped for the oil drilling rig. This type mud system includes all the solids control equipment like shaker screen, de-sander, de-silter , vacuum degasser and decanter centrifuge. For some deep oil well drilling, the mud system may be consisting of many mud tanks for active mud storage. The economic configuration mud system is always used for some deep oil well drilling, work over rig project, horizontal directional drilling and piling project. 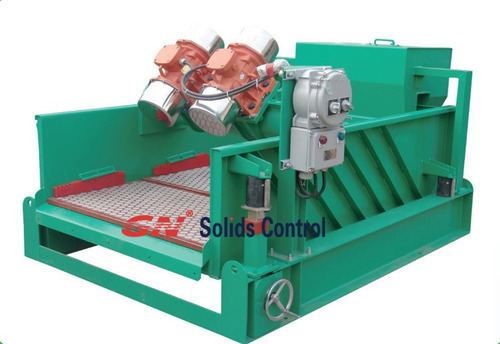 Work over rig mud system is little simpler in the solids control equipment configuration as the mud system sometimes only contain the shale shaker for one stage solids control. The workover rig no need the drilling mud to be treated very clean. It also has a mud mixing system which could be used to re-configurate the drilling mud. According to the flow rate of the directional drilling rig, the HDD mud system is often divided into different model. Such as GN’s model 150GPM, 350GPM, 500GPM, 800GPM, 1000GPM and 1500GPM. The HDD contractor would always not use the decanter centrifuge in the system as the drilling fluid is not very high request on the cleanness. But some customers has high request, they will also put the decanter centrifuge in the mud system. The piling system is the simplest de-sanding unit; it only has one tank and one unit high capacity de-sander. GN solids control could provide the piling system of D50 and D100 as per the treating capacity. Always the piling system is no mixing system, the solids is removed out by the vibration screen, and the fluids get down to the tank and the pumped back to the rig.